The Ranco Thermostat is the primary replacement we use in our restoration process. The kit comes with a variety of mounting brackets, so it's easy to install. 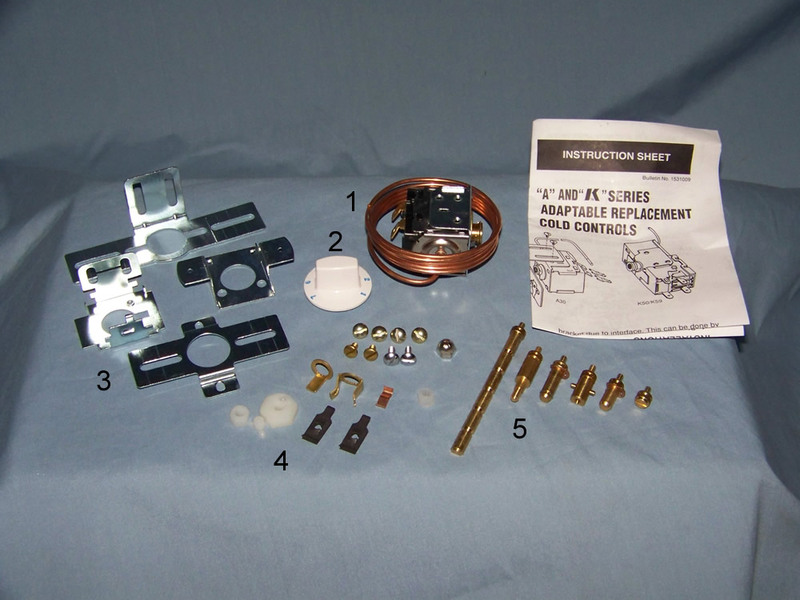 It also comes with a variety of shaft adapters, so you can reuse your original thermostat knob. In the event your knob cannot be reused, a replacement knob is provided. The control housing is fit with a 42" capilary line which allows the control to be mounted anywhere in the upper half of most vintage refrigerators. Upon installation, excess capilary tubing can simply be tucked away behind the fridge liner or freezer compartment. 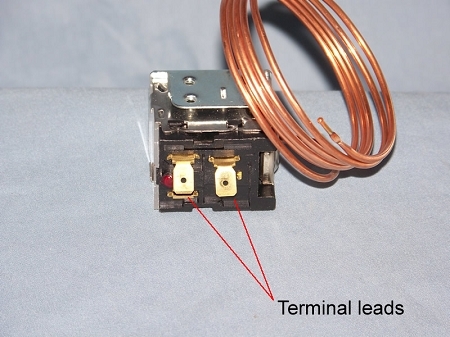 For wiring, the control contains two push-on power leads. Ranco Thermostat with 42" capilary line.